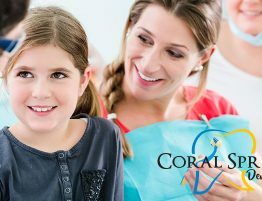 Here at Coral Springs Dental Center, we know how important it is for you and your children to feel comfortable when visiting kids dentists in Coral Springs. That is why we make this our top priority. We provide a fun and warming environment to make sure that both our young patients and parents are happy and comfortable. To make your visits pleasant we have designed a dental office for kids of all ages with special equipment, games, and books to keep them entertained while waiting to be seen. We have a team of talented pediatric dentists and professional staff who know how to make your children smile. Our pediatric dentists are trained in the most advanced dental technologies and educated in child psychology and behavior management. One of the most important facets of children’s dentistry is education. We will take the time to work closely with your child and show them how to care for their teeth and gums in a way they can understand. We also focus on the importance of good dental hygiene as this will help your children maintain a positive and good oral health care routine in the future to grow a healthy and beautiful smile. 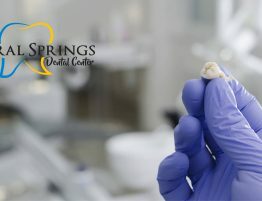 Early and regular visits to the doctor is necessary to help your kids become relaxed with the dental staff and build confidence to help ease they’re follow up visits to the kids dentist in Coral Springs. We also understand as a parent you have a busy schedule to maintain, that is why we have recently extended our hours to accommodate all working patients. We are now open on Saturdays from 8 am to 2 pm. 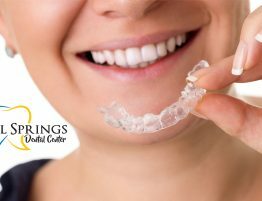 At Coral Springs Dental Center we provide emergency services in case your kid is experiencing severe pain, swelling, fever or having complication eating. 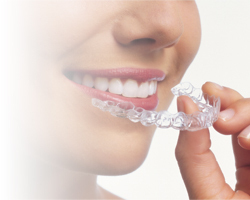 We offer same day appointments and please call ahead if you need a Saturday appointment. We provide the highest quality dental care and our goal is to make you and your kids visit to the dentist an easy and fun experience. We do everything we can to make our kids dental center warm and pleasant. 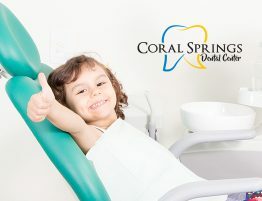 Contact us today to understand why we are the top kids dentists in Coral Springs. If you have any questions about our pediatric services call us at 954-344-8800. We will be happy to answer your questions. 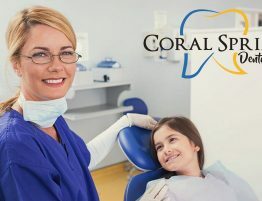 Click here to view our site and learn more about kids dentists in Coral Springs. 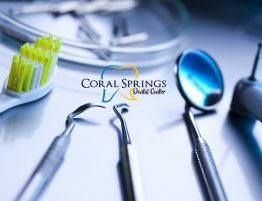 Also, follow us on Facebook at Coral Springs Dental Center.